It's been a while since I've been blogging, mostly because it's been so crazy around here. Also, it's summer so my crochet activities have tapered off, due to obvious reasons. Every summer, I find that I gravitate towards paper crafting and this year is no different. At first, I was just destashing some gift tags leftover from my wedding...and next thing I know, I was getting requests for hand-cut paper tags of all prints. 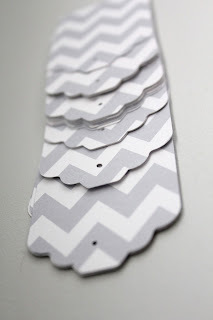 One of the most popular designs has been this grey chevron paper tag. They are just going like crazy! 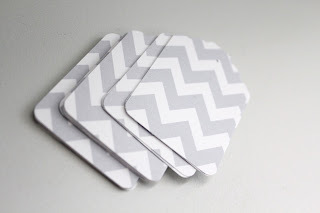 I think the mass appeal comes from the way you can write on either side of the tag and also, grey chevron is so in right now! Is there anywhere I can buy from you besides etsy? I have PayPal. If you could email me at lee_erika@naver.com I'd like to place an order for the glitter tags you have.